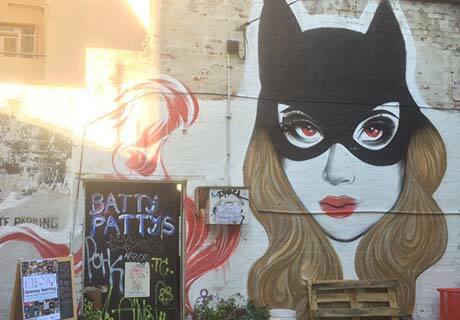 Laneway Learning Melbourne is held in different venues around the CBD and suburbs. Check out the map to see where we are and zoom out to see locations for our venues outside of the CBD. Scroll down to learn a little bit more about each of our unique venues and find further information such as accessibility and directions. Laneway Learning Central - NEW!! 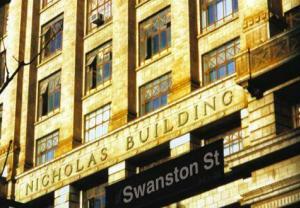 Laneway Learning Central is our main home, located at the iconic Nicholas Building, in Swanston st in Melbourne CBD. Our humble space is open for co-working, private and commercial events, and classes of course! Accessibility: Wheelchair accessible, although main doorway has a small lip and toilets are reached by stairs. View further details for Laneway Learning Central. See Laneway Learning Central on a map. Our first ever book store venue, Embiggen Books, can be found on Little Lonsdale Street in the city. 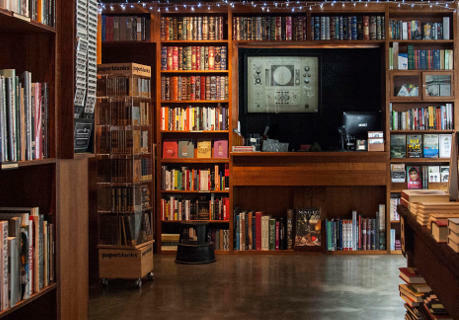 A speciality book store inspired by the great libraries of the world and selling an ever-changing, curated collection of excellent new books. Now with extra learning! Accessibility: wheelchair accessible, toilets are in QV. View further details for Embiggen Books. See Embiggen Books on a map. Madame Brussels has been a hidden – but far from secret – destination for over 10 years. As Melbourne's first roof-top bar, its kooky, summery country-club feel, seasonal punches and cocktails, wines and fancy food make Madame Brussels a much-loved Melbourne icon. Accessibility: classroom is reached by eight steps and then a lift or three flights of stairs. View further details for Madame Brussels. See Madame Brussels on a map. We get our fill of city views from the Stephen McLaughlan Gallery, eight floors above Flinders Lane. Located in the Nicholas Building, the Gallery hosts regular exhibitions and photographic archives of work from both established and emerging artists, sharing their visions across a variety of media. View further details for Stephen McLaughlan Gallery. See Stephen McLaughlan Gallery on a map. 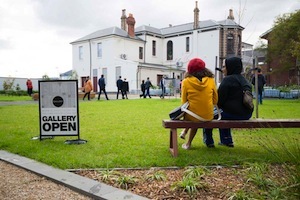 The Siteworks is a lovely community centre full of exciting events and spaces, including an art gallery, veggie gardens and a park. Accessibility: wheelchair accessible venue, with an accessible bathroom on bottom level. Not accessible (set of stairs) on top level - please check were the class will be held if you have accessibility issues. View further details for Siteworks Brunswick . See Siteworks on a map. The featured image is borrowed from Siteworks website. View further details for Harold & Maude. See Harold & Maude on a map. 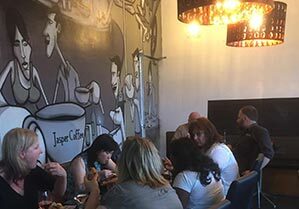 Searz Caffi opened in Melbourne’s Inner West in 2015 and has quickly become a local treasure. The food is Asian and modern Australian-influenced, and the puddings are the worst kept secret in town. The atmosphere is relaxed and friendly casual dining whether it's midweek mambo special or leisurely weekend brunch spent admiring the large mural by Felipe Camara. View further details for Searz Caffi. See Searz Caffi on a map. If you need more information about any of venues please follow the links to the venues' websites or see our additional venue information. Would you like some learning with your tea? 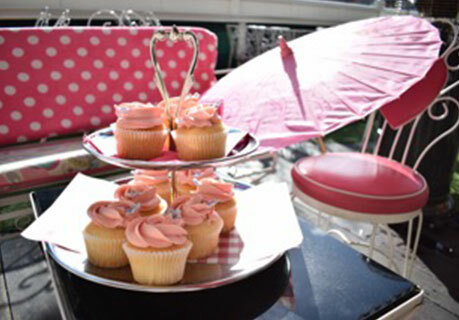 Join us at Mary Eats Cake up in Brunswick then! Specialising in uniquely crafted tisane blends, this peaceful spot right on Sydney Road is a great place to browse, taste, and relax. And, of course, learn something as well. Accessibility: wheelchair accessible, toilet is up two steps. View further details for Mary Eats Cake. See Mary Eats Cake on a map. Get to know Sarah from Mary Eats Cake. 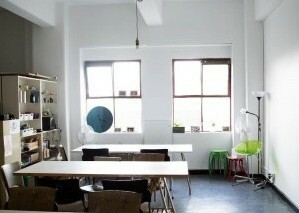 Laneway Learning Central is our main home, located on Bennetts Lane, just off Little Lonsdale Street in Melbourne CBD. Accessibility: classroom is up one very small step. When it comes to colour and creativity, in.cube8r isn't afraid to be bold. 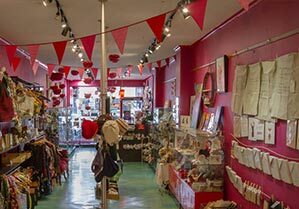 It's a bright pink cabinet of curiosities and home to 100 local artisans who rent spaces and keep 100% of their sales. 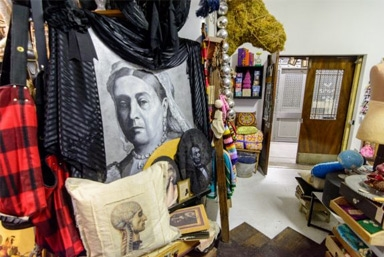 in.cube8r holds regular exhibitions and pop-up stores, as well as operating as a retail space selling jewellery, ceramics, clothing and other handmade items six days a week. Accessibility: classroom is up one flight of stairs. View further details for in.cube8r Gallery. See in.cube8r Gallery on a map. Laneway Learning's first home was The Little Mule Cafe on Somerset Place. 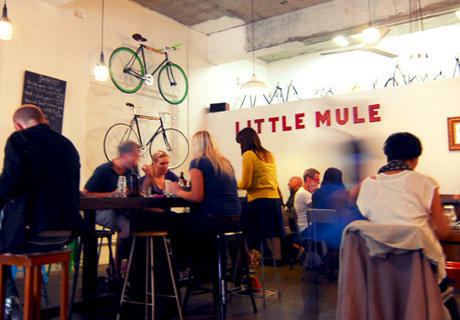 Every lunchtime, The Little Mule buzzes as local workers stop in for a coffee. We're just lucky that in the evenings it doubles as the perfect classroom with big workbenches, an intimate vibe and a friendly barista. Accessibility: wheelchair accessible, the toilet is upstairs. View further details for The Little Mule. See The Little Mule on a map.